Hierarchy of Needs... For Webcartoonists! It's been boggling me for a few days now, but I just had to get this odd yet awesome idea out of my mind. 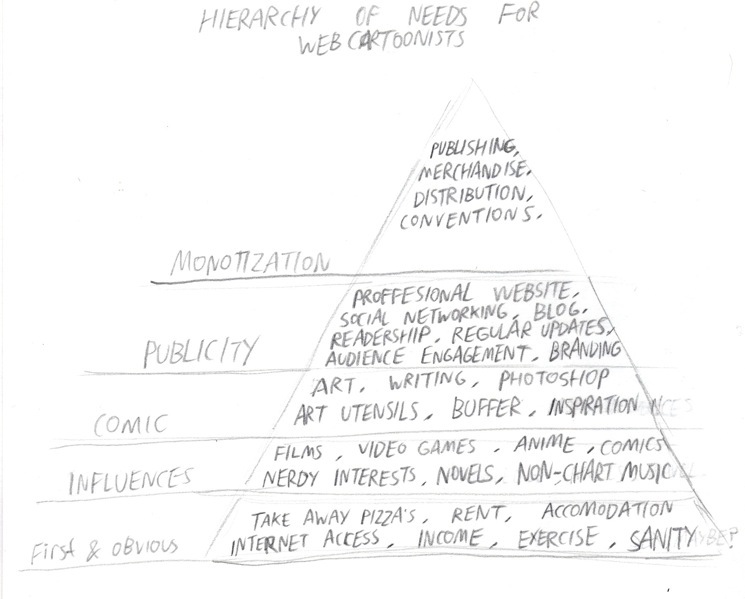 Behold, The Hierarchy of needs... For webcartoonists! For anyone who can't find the text legible, here's the typed up version. Starting from the bottom up to the top. First and obvious: Take away pizzas, accomodation, rent, internet access, income, exercise, sanity. 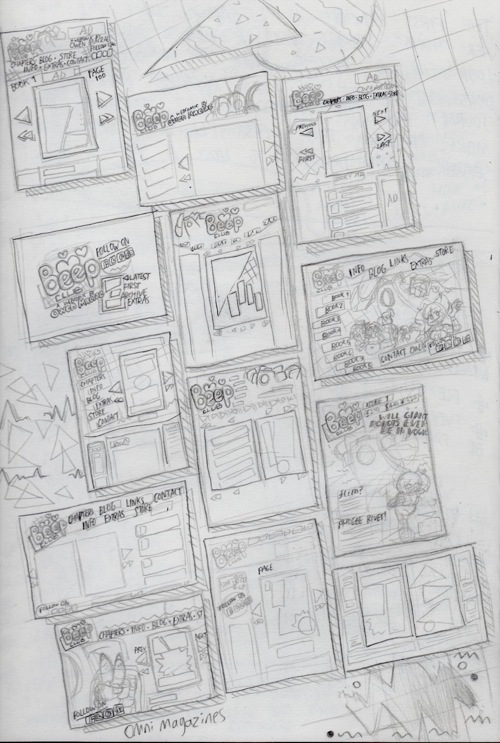 Influences: Films, Anime, video games, comics, nerdy interests, novels, non-chart music. 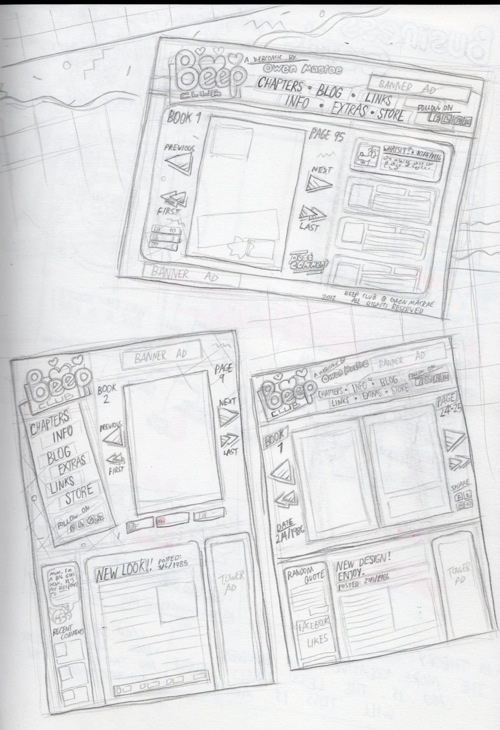 Comic: Drawing, writing, art utensils, Photoshop, Buffer, inspiration. Publicity: Professional website, Social Networking, blog, regular updates, audience engagement, branding.